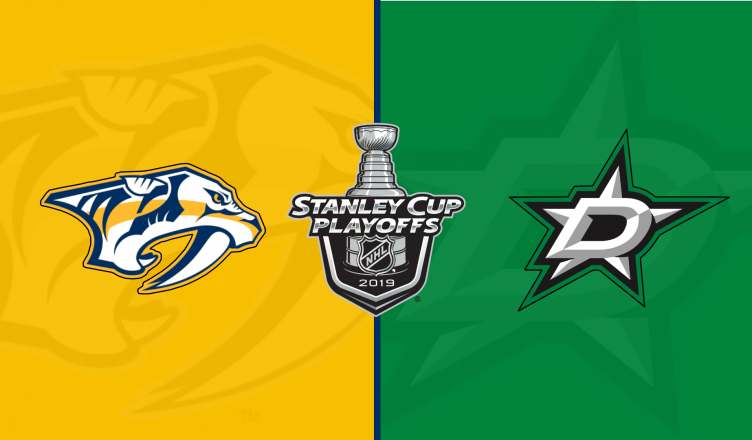 The Nashville Predators claimed the Central Division crown last week to secure home ice advantage through at least the first two rounds of the playoffs. It was an up-and-down season for the Predators, with stretches of scoring and goal-tending brilliance offset by weeks of mediocre play that did a lot to lower expectations for the post season. The team added Wayne Simmons and Mikael Granlund at the trade deadline, though neither had quite the debut they were hoping for in terms of point production. They also didn’t save an abysmal power play that finished near the bottom for the regular season. Still, the team managed to string together a strong finish to edge out the Winnipeg Jets and hold off surging St. Louis Blues to get home ice. For their efforts, they earned a date with the Dallas Stars sitting in the first wild card slot. The Dallas Stars have been on a tear lately, going 5-1-1 to finish the season and keep the Colorado Avalanche from getting any higher in the standings. In terms of the season series, the Predators hold the edge at 3-2-0, with two of those games going to extra time. You might recognize a familiar face on the Stars roster: Alexander Rhadulov. The Russian forward was drafted by the Predators and then bolted for the KHL after two seasons in the NHL. He returned for the end of the 2011-12 season, only to be suspended for breaking curfew during the second round match-up against the then-Phoenix Coyotes. He spent a year in Montreal, and is now with Dallas. Also on this team is forward Jason Spezza, who infamously blocked a trade to Nashville from Ottawa in 2014 and has been the recipient of relentless boos ever since. This series is expected to be a lot closer than the playoff seeding would suggest. Most analysts are putting this one down for a long series. * Games 6 and 7 if necessary. The networks of NBC are again the primary way to see the Stanley Cup Playoffs. Some of the earlier games will also be broadcast on Fox Sports Tennessee with your familiar broadcast team, but eventually the NBC feeds become the only way to watch. 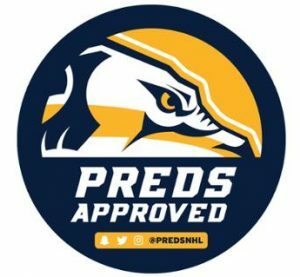 Back again this year is a list of “Preds Approved” venues to watch the game, where the owners have registered their restaurant or bar with the team and promise to not only show the game (with sound if at all possible) but they will also have some swag to give away. Do not be surprised if a familiar chant breaks out! There will also be a plaza party beginning a few hours before game time (weather permitting) where the team will have games and a large viewing screen set up to broadcast the game for folks that couldn’t make it inside. Be sure to read up on the rules for those to know what you can and cannot bring.